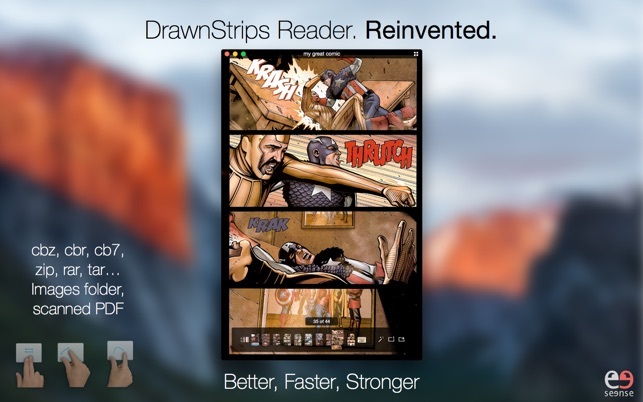 DrawnStrips Reader 3 has been 100% redesigned for El Capitan and Yosemite. Faster, Smoother than ever. • QuickLook Plug-In: CBR/CBZ/CB7. Finder will automatically display the first page of the comics as icon. 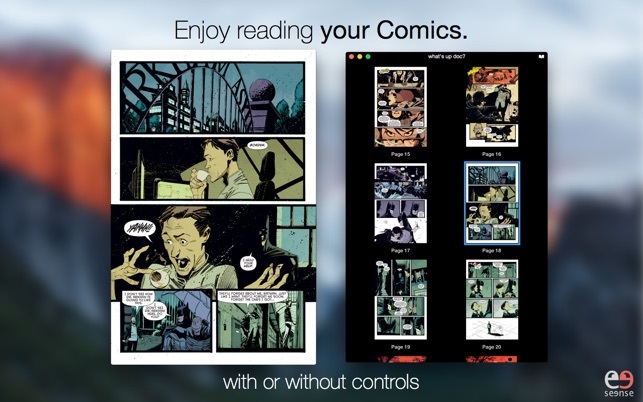 And you can press the space bar for a quick view of your comics. 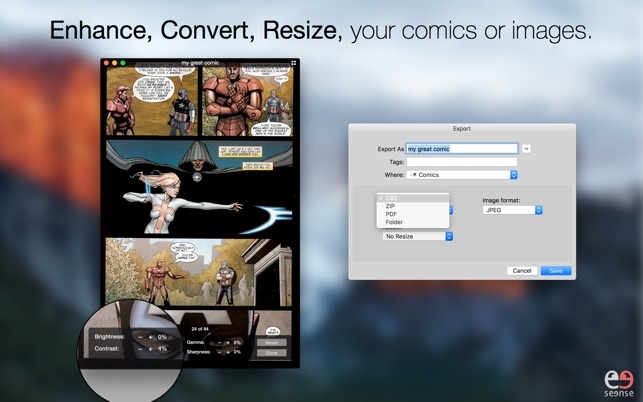 • Convert, Enhance your comics..
• Convert your comics to another format to CBZ, ZIP, Images Folder, PDF. • Resize comics, or Images folder. • Magic Enhancer let's you modify on the fly (Brightness, Contrast, Gamma, Sharpness). • Save the enhanced comic. 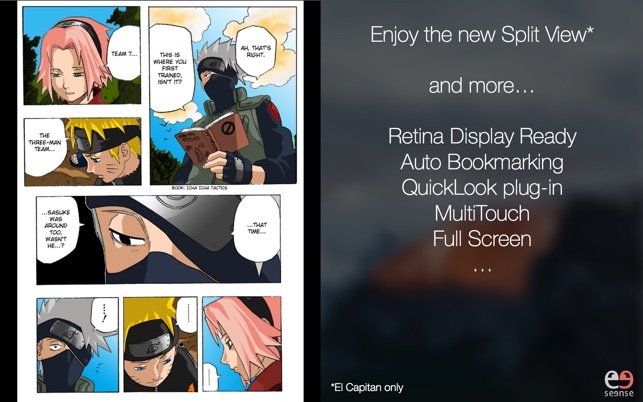 • Automatically keep the enhancement settings when you re-open your comic. • Open automatically the next comic in your folder. • Western, Manga style reading. • Controls fade out when they're not needed, or completely hidden. • Handle comic archive and folder with Webp images. • Ready for El Capitan. PS: The extra languages, are not part of this version, to be on time for El Capitan. I will re-integrate them in the next release. Thanks your comments on the Mac App Store but if you need an answer please send me an email. [Bug Fix] Quicklook plugin now working properly. [Bug Fix] Some system settings were preventing proper mouse usage. [Bug Fix] Export was, sometime, crashing due to malformed comic archives. [NEW] Support of comic archives with Webp images. [NEW] Support of CBT archives. [NEW] Default Window size can be defined. [Improvement] Double click on title bar now act as expected. [Improvement] Double page, turning page is now smoother. [Improvement] Open Next Comic while in FullScreen is now smoother. Other small bugs fixed and improvement. This viewer is great for my needs. I’ve been using Simple Comic for a while, but I’ve had many issues with it so I set out to find something better. I don’t read manga, so all of the defaults in this app had to be tweaked. I had to adjust all of the key bindings to support "left to right" reading. Once that was done, everything worked as expected. I primarily read old magazines and western comics, both of which work great. The app also has good integration with Apple’s APIs, so touch pad gestures and compositing effects work well. The only think I would have liked is continuous vertical scrolling support, so I could just scroll down continuously instead of loading each page individually. That’s a minor gripe, overall the app is great and has no performance issues I can see. DrawnStrips Reader is the best comic/manga reader for Mac that I know of at the moment. I mainly read manga (American comics have kinda been going downhill lately -_-) and this app is PERFECT for it. 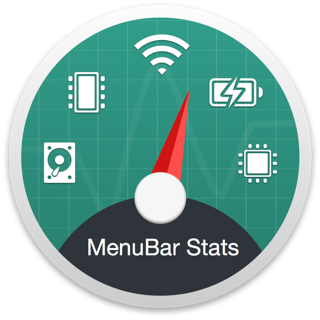 It supports dual page reading (looks great on the 15” Retina display) and the default page movement is right to left, so I didn’t have to change any settings at all. It gets the job done and has a very polished, minimalistic feel to it. I would highly recommend this app to anyone looking for a good comic/manga reader, it is well worth the 4 bucks. Looks like I found a comic book reader. Works great and you have many options like export or change direction of comic. I tried to open a troublesome file (.rar), but it didn’t work. I also couldn’t open it in most of the other readers I have, but the other cbrs and cbz were fine. Nice professional feel. I’ll write more of a review once I use it more often.